The Scriptores Historiae Augustae, or Historia Augusta, is a collection of biographies of Roman emperors, heirs, and claimants from Hadrian to Numerianus (117–284 CE). The work, which is modeled on Suetonius’s Lives of the Caesars, purports to be written by six different authors and quotes documents and public records extensively. Since we possess no continuous account of the emperors of the second and third centuries, the Historia Augusta has naturally attracted keen attention. In the last century it has also generated the gravest suspicions. Present opinion holds that the whole is the work of a single author (who lived in the time of Theodosius) and contains much that is plagiarism and even downright forgery. 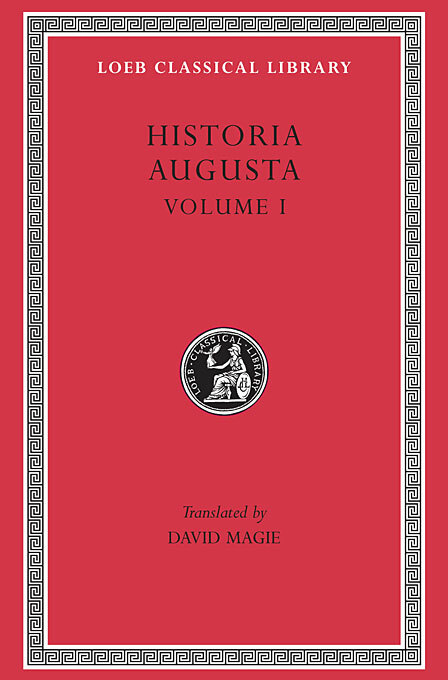 The Loeb Classical Library edition of the Historia Augusta is in three volumes.